From the moment she walked the halls of SHS on Grade 8 Step Up Day, there was something unique and remarkable about this young lady. I don’t think I have ever known a young person with such a prescient sense of altruism coupled with the ability to apply it. Her lens of life is truly about impact, giving, leading, and caring in ways which are both profoundly mature and at the same time, delightfully adolescent. She moves through her days enjoying the silliness of life while being profoundly aware of the meaning of life. Katherine views a challenge as a gift that needs to be unwrapped and transformed into an opportunity. She spearheaded the SHS chapter of Habitat for Humanity as she found an advisor, enlisted membership, and made it happen. Her dogged determination is evidenced in her work as a Class Officer, International Studies, and peer leadership, and Key Club. Her work on our site based School Council is exemplary as she brings wit, wisdom, and wonder to all our meetings. 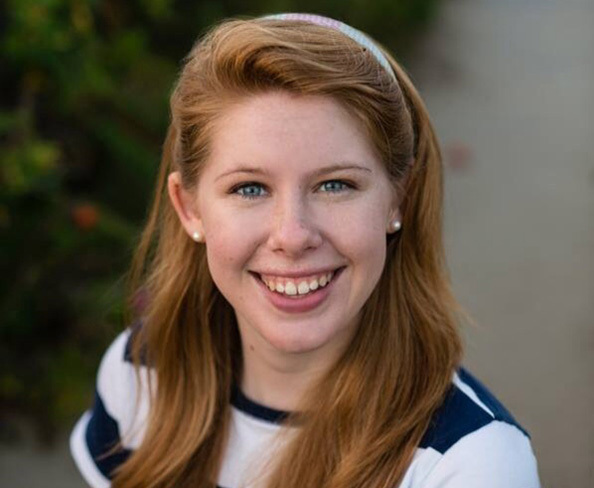 Katherine has served masterfully as manager of our field hockey team for three years and is a highly contributive member of our lacrosse team. Beloved by teammates, she powers up the team before each and every game! The recipient of numerous academic awards, she is the deserving recipient of a Blue Knight Pride award in addition to being selected to attend the Sports and Society Conference. Katherine will serve as a senior mentor. While Katherine’s outstanding accomplishments earn her recognition, it is her humility that wins our hearts. She writes, “Whether it be on the lacrosse field, at Model UN, serving ice cream at Twin Acres, or hanging sheetrock at Habitat house, I try to be a good representative of the SHS community. “ Katherine, rest assured. You do so each and every day. Katherine was chosen by her peers to represent Sandwich High School/STEM Academy on the Sandwich School Committee, a role she performs with a grace and remarkable insight. Her bi-weekly reports are very well received and always thoughtfully delivered. Katherine’s talents are key ingredients to the fabric of our school’s student centered culture.